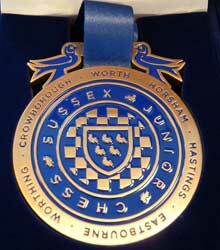 There are 6 tournaments that make up an annual Sussex Junior Chess Grand Prix (GP), similar to the one in motor racing. 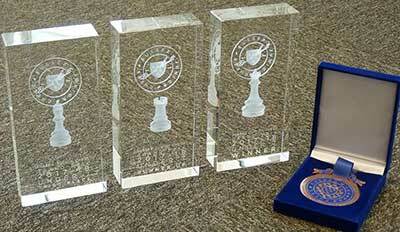 Results in each of the constituent Grand Prix tournaments earn points towards the overall Grand Prix. These points are accumulated for all eligible participants. At the last one of the season, which this season will be on May 18th, age group prizes are awarded for performance over the season. The best four individual grand prix scores for each player are totalled. Players needs to have attended a minimum of three Grand Prix events to be eligible. Additionally, special grand prix loyalty medals are awarded to all players who have attended at least 5 of the Grand Prix events. Results will be updated after each grand prix in the series.